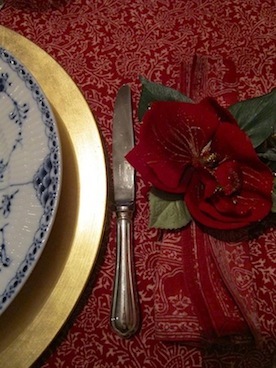 HOW TO SET A FESTIVE TABLE FOR CHRISTMAS? This is the argument of this Brand New post! For Christmas is very important to decorate the table to give more a Festive look, atmosphere and also a festive feeling. The visual part also give us an emotion and make us feel good! 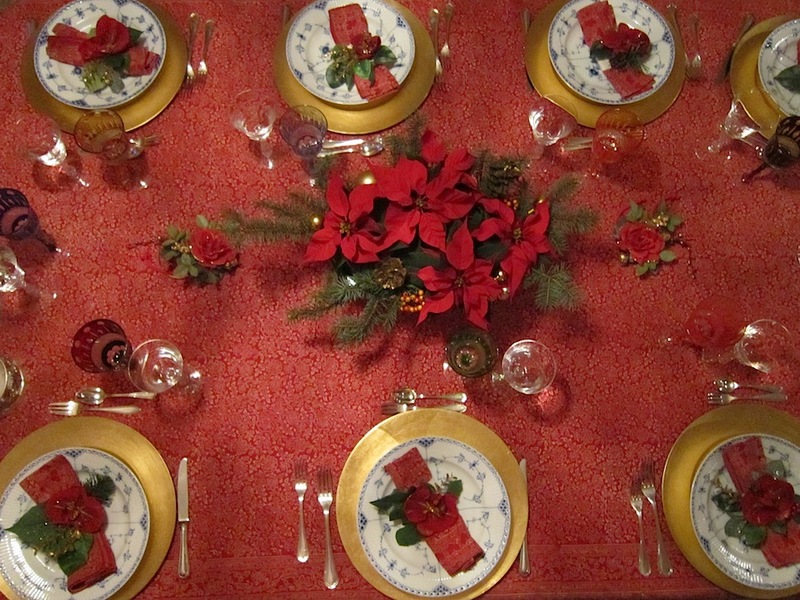 – Step 1: Use a nice Tablecloth, my suggestion is RED Color because is synonymous of Pure Luxury and represent perfectly the Christmas mood. You can add some petal roses if is a Romantic dinner or some cones of wood. – Step 2: Use a plate just for decoration. My suggestion is to use Gold or Silver. 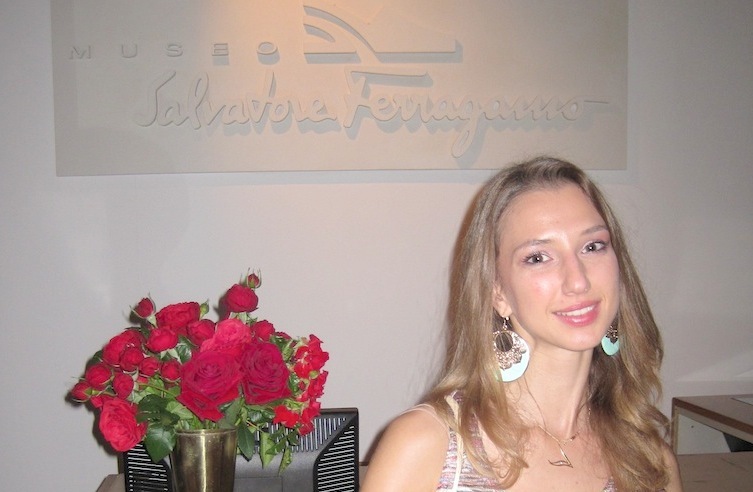 Personally I opted for Gold because is a warmer color and symbol of Luxe. Do not use this plate to eat, this is just for decoration! – Step 3: Add an extra plate of a smaller size so you can see edge of the plate under the second one! – Step 4: Is now the time to add the cutlery. 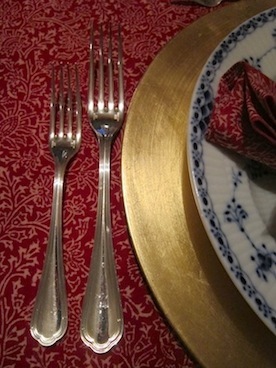 You can never go wrong with Silver Christofle cutlery. Remember forks go to the left of the plate, the smallest outside and on the right part of the plate the knife. Dessert cutlery should always be placed at the top of the plate. 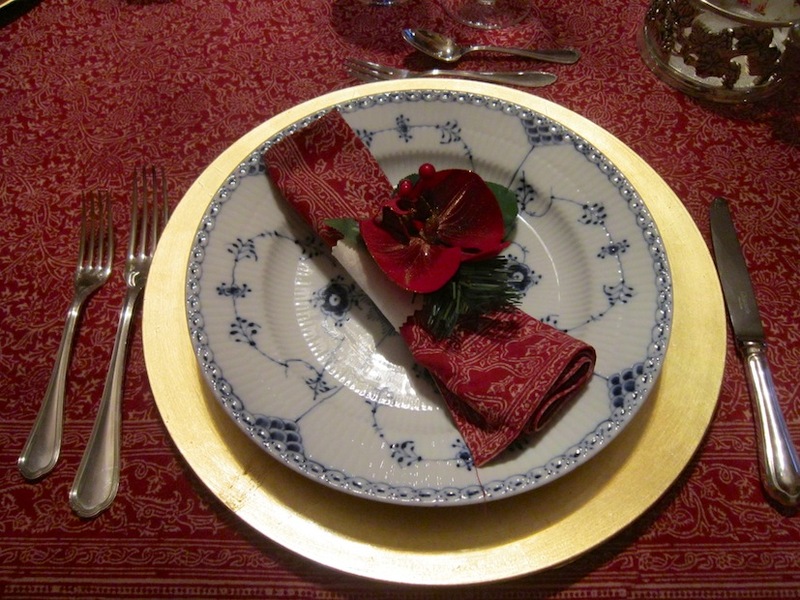 – Step 5: You can add a napkin on the right of the plate or better yet in the center of the dish. 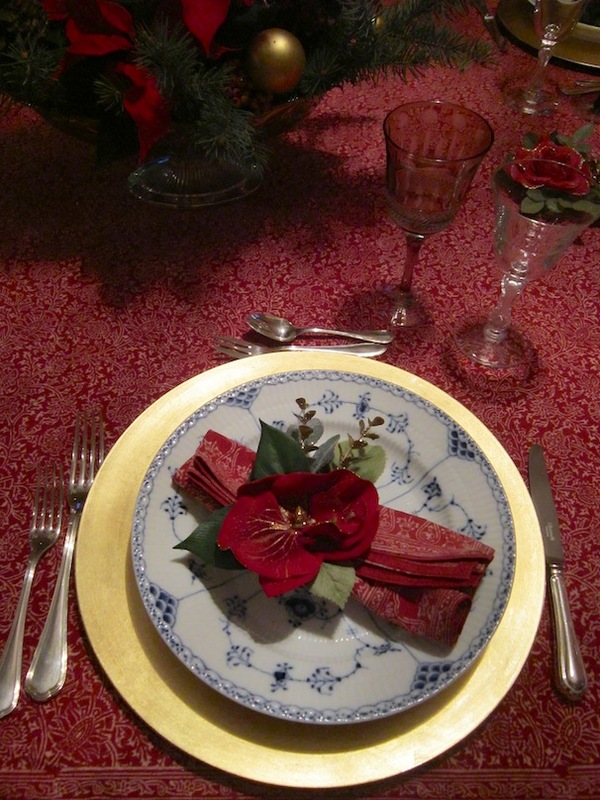 – Step 6: You can decorate the napkin with a sliver or gold napking-ring or in this case I opted for a Red Flower. 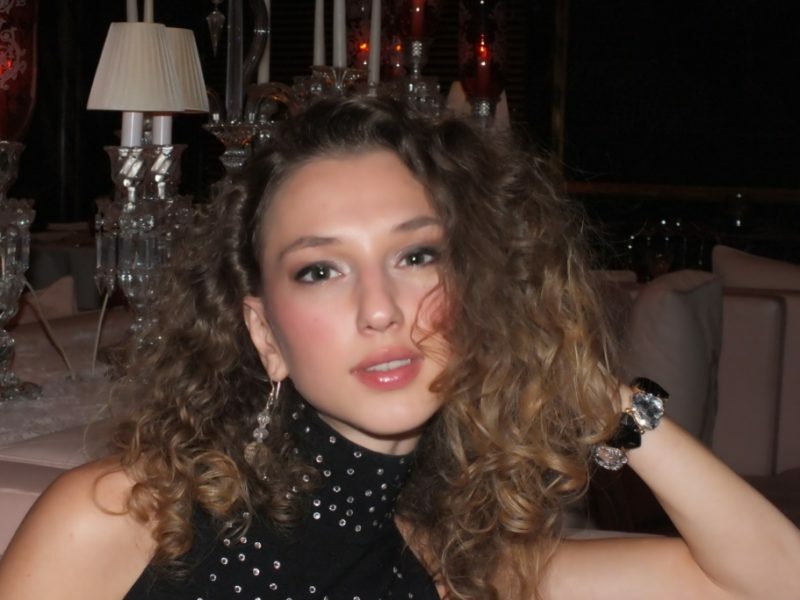 – Step 7: The glasses should always be at the top and right of the plate. Is a Festive table so you can play with different colors of glasses. 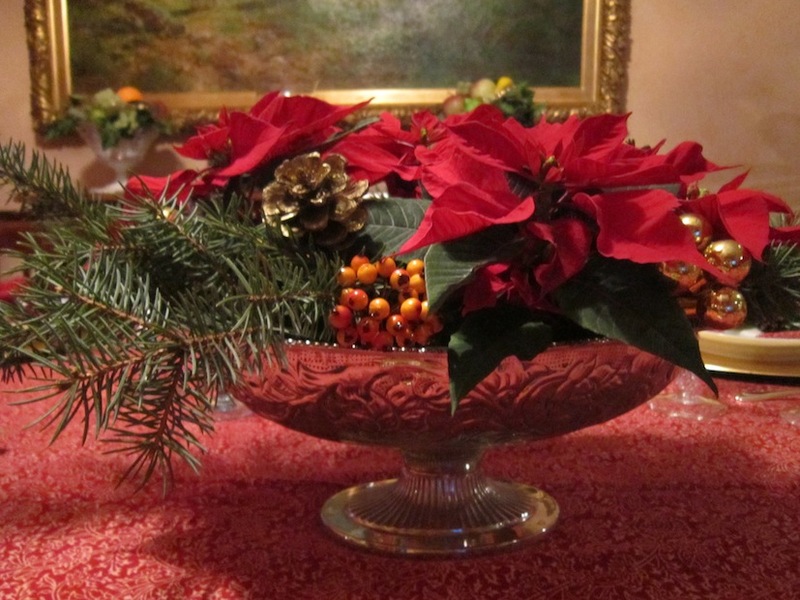 – Step 8: Decorated the table with a centerpiece that can be Red flowers bouquet in this case but also other decorations tips such as wood and pine cones. – Step 9: Remember to coordinate well the colors. Don’t put to many accessories, just enough to make the table rich and elegant. The colors and the setting have to be in good armory. This is the final result of my Festive Table for Christmas. Do you like it? Did you found this article interesting? 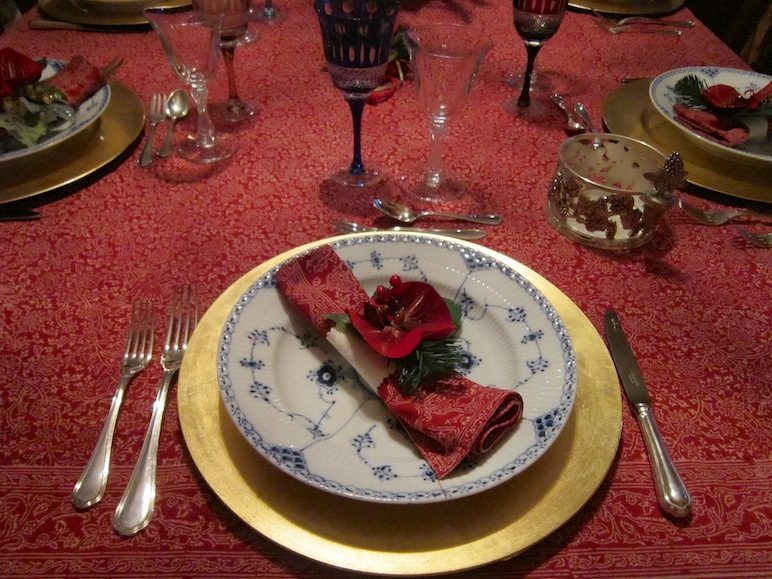 In the next post I will talk about the perfect Festive Menu for Christmas! Wish everyone a MERRY CHRISTMAS and BON APETIT!